Some historians put the number at around three hundred, others simply say he had a herd of them, but they all agree that when Hernando de Soto and his six hundred soldiers landed somewhere near Tampa Bay in 1539, they had pigs. 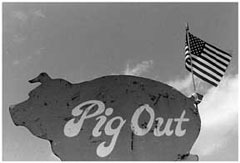 As de Soto fought and finagled his way across the unseen South, his soldiers prodded the pigs from campfire to campfire, ate them by night, and by day breathed their pock-filled pork breath for the first time into southern skies. 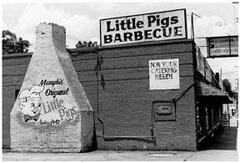 From de Soto’s ill-fated entrada (which left his febrile ribs forever marinating in the Mississippi) to the day Dan Quayle and his wife Marilyn strolled into the original Corky’s on Poplar and strolled out with four slabs, pigs and politicians have been bedding down together all across the South. But pigs and politicians share more than the sheets. They often fall victim to similar fates. Offered up daily to the masses, public opinion bears down hard on both of their shoulders. A few months and a Murphy Brown after leaving Corky’s, Quayle was a lame duck. Four years later the man who sent him packing walked through those same doors and shook hands with the owner. Since then Clinton’s seen his share of ups and downs as well, but through it all Corky’s maintains a strong lead in the polls. 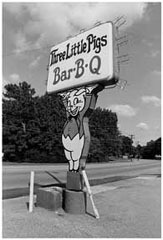 Voted #1 Bar-B-Q in Memphis for the last seventeen years straight, pigs would have to fly before Corky’s ten state corporate conquest of the rib world comes unscrewed. 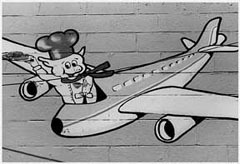 And to make sure that never happens, Corky’s will fly their pigs anywhere they want to go so they’ll never have to do it themselves. Barry Pelts: In 1972 the family had been in the furniture business for 40 years. In ’72 they sold it to an insurance company out of Jacksonville Florida . That was when the insurance companies had lots of money and they were looking to diversify and my dad and his father and his brother sold it. And from ’72 to ’73, he was out of a job and he needed a job. He had a little money, a little chunk of change, nothing that he could live the rest of his life off of. He a little time where he could spend 6 months to a year trying to find out what he wanted to do. 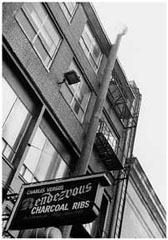 He saw an ad in the paper for a restaurant that was for sale called The Public Eye which is in Overton Square in Memphis . He told his parents maybe I’d like to buy this restaurant. 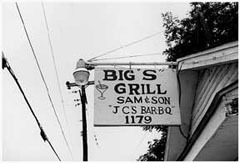 The restaurant was similar to — it had barbecue on its menu it featured barbecue but it also had a big bar. it wasn’t a barbecue joint. 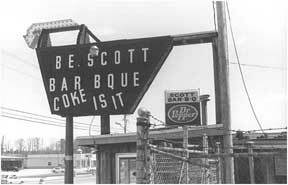 it just happened to feature barbecue on its menu and it was a bar mainly. Probably the mix was 60-40 food to alcohol which is a high mix of alcohol. His parents thought he was crazy. He’d never cooked an egg in his life. He didn’t know one thing about cooking. But he went to his father and said “you know this what I think I’m going to do this” and he said “I think you’re crazy.” But he went and bought it. He brought in my dad’s brother and law- my mom’s sister’s husband who had some catering experience in Chattanooga . No barbecue experience but had been around food. More than my dad had been around. They bought it in ’72-’73 and they operated it until ’84. 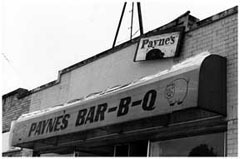 But between ’72 and ’84, I would say probably closer into the late seventies, my dad had an idea of what he really wanted to do and that was to do a real barbecue “joint.” Cozy. Instead of seating 260 people like this other restaurant, seat less than 100 people. Have the servers. When you walk in, you have the 50’s music. You have the servers wearing a bow tie and a white jacket. Being the Old South, but making it a fun environment, not stuffy. ’84 is when they opened. But in about ’82, my dad said I’m doing it. he sold his interest in The Public Eye to my uncle. He waited for literally two years- maybe not that long. It was that long. But he had owned The Public eye with my uncle while he was looking. He pinpointed this location you see on Poplar Avenue- 5259 Poplar. And he said, “if I’m going to do this, I’m going to go in with the absolute “A” location and, if it fails, I’m going to know at least I went in. . .You know a lot of people, if you don’t go in with your gun loaded and it fails, your always going to question yourself. He did exactly what he said. He built the environment- the cedar wood and the music going. He had carpet on the floor to make it nothing modern with like stone. He had the brass railing. He had all the things to make it a fun 50’s environment; had all the great music. You really felt like you were in a barbecue joint. But again, he came back to having the barbecue through the drive through window faster than McDonald’s and nobody said that could be done. 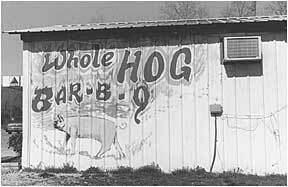 Vision for the barbecue joint? 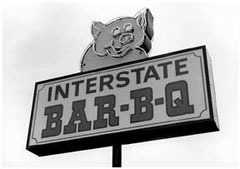 Everybody thought throughout Memphis that, if you’re going to have good barbecue-, yeah you’ve got to go to a barbecue joint. And, he didn’t wan to upclass it- except. 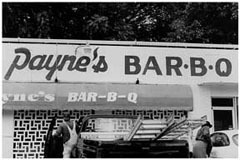 . . Everybody thought that when you wanted good barbecue you had to go into a bad neighborhood- in ghetto or it’s not going to be good barbecue. We’ll, like he said 99% of the people that want to eat the barbecue don’t want to have go to the ghetto if they don’t have to. If you live in the ghetto that’s fine cause it’s right around the corner. 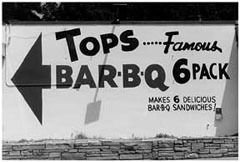 He wanted to open it up to the masses, where barbecue is something not only that the poor would eat but the rich would eat the middle class would eat. But also on any given day, he wanted all the high rise office buildings and the churches to be able to use it as if they ere eating any other meal. 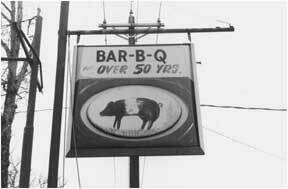 You had to make a conscious decision years ago to eat barbecue because you had to drive into the ghetto. The other thing is service was never really. 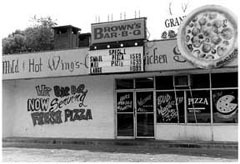 when you went into the ghetto the food was really what sold itself. He wanted to bring service up to the level where the quality of the food was. He did that. The other thing is, and I say it to this day and he’ll say it if he were here right now. 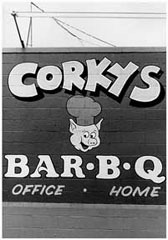 If you’re going to go eat at Corky’s, yes, we want you to have the best barbecue in the world every single day. 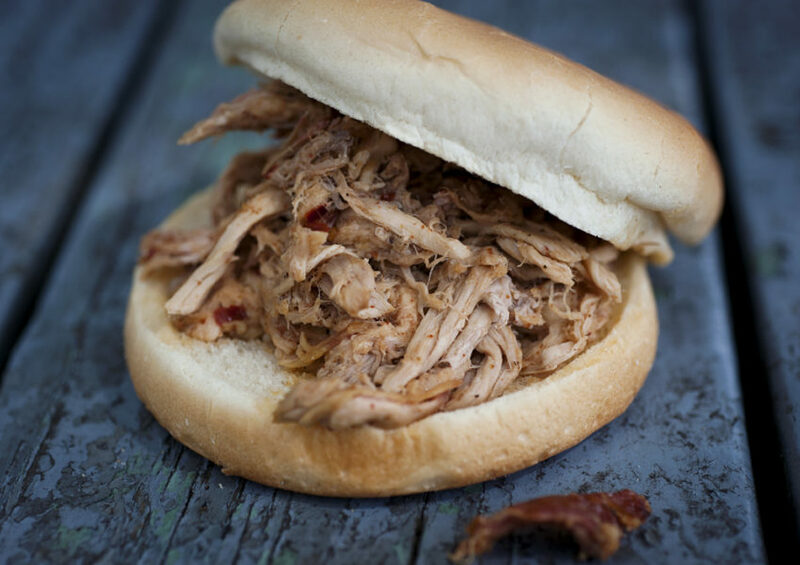 But also we want you to have the most consistent barbecue. I could tell you a lot of our competitors and I’m friends with a lot them. 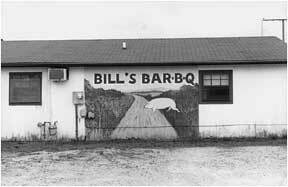 I could go there on certain days and their barbecue I think is as good as ours. But the question is, if you go there 10 times in a row, is it going to be consistent. What we’ve done is, the employees are great. But, management, it still starts at the top. My dad’s theory all along was when he opened the restaurant he had 85 seats but he opened with 4 or 5 managers. Most little mom and pops open with the husband who owns it and that’s it. His theory was; at every point of contact, he’d have a manager touching the food. 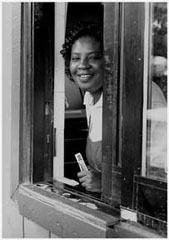 To this day, if you were to go through my drive through right now, yes the person taking your order is an hourly employee. The person collecting the money is hourly. 95% of the time the person sacking that order is a manager. The reason is, you go to Wendy’s and say I want a hamburger with pickles and ketchup. Nine times out ten you get home and how often is it ever right? The reason is its hourly people doing it. We’ve put managers in that position so that we feel not only are we paying them more but they have a vested interest in this restaurant. If you go into dinning the room the person at the expo station- that’s a manager. You go out on a catering. We just don’t send employees out. We have a catering captain that’s a manager, a salaried manager. So everywhere you have contact with the food, its’ a manager. We do food at the Pyramid. It’s a manager out there supervising it. The next thing that separates us really is we’re bringing in a tractor trailer load of ribs about every nine days. 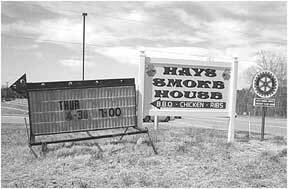 There’s probably no restaurant in America that moves the kind of ribs that we move- individual restaurant. But we pay a lot for our ribs. People say I can’t believe that your food costs are so high. The reason is that we’re buying the absolute best quality ribs that’s been trimmed to our specifications. It doesn’t have excess cartilage and fat and the false lean meat. The reason is- it goes back to the very beginning. My dad said that he was going to have the best location, the best management, the best service. But also his theory was, if you take an “A” grade raw product, you have chance to have an “A” grade finished product. If you start with a “C” grade raw, you’ll never have an “A” grade product. Those are the things that separate us. And we still are cooking the old fashioned way. We’re still slow cooking our ribs. We still hand pull all our pork. We have competitors out there who’ll take a pork shoulder pull the bone out and send it through a bowl chopper. Yeah, you’ll get a lot better food cost and yes it’s a lot less labor. But if you go into our kitchen right now, we have multiple people where all there doing is just hand pulling pork. When the ribs get done, they’re still hand trimming the ribs to our specifications. We cook all of our ribs over charcoal. We have our hickory smokers. They’re gas. They’re turned electrically but they have the hickory chambers in the back that we use. We don’t use Old Hickory (brand). We use Southern Pride (brand). We use, on a given day, 200 shoulders. Your charcoal pit would have to 200 feet long. It’s just not physically practical to do that. Volumes. How do you answer the questions and criticisms of authenticity, about those people who say, “but it’s big time now. It’s not like it should be.”? Why does someone go to an NBA game versus why they don’t pack them into watch a local community center men’s 30 and over basketball league. That’s always been my analogy. I don’t see people paying $20,000 for floor seats to a men’s 30 and over. 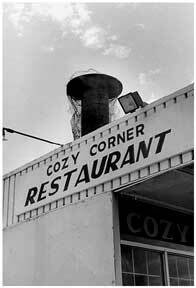 And that comes back to what my dad, when he put Corky’s on Poplar Avenue and didn’t put it in the ghetto. Yes, you’re going to have people that are going to say that.” And there’s people who are going to say “we’ll I’m not going to eat in a place that has a table cloth or a place that has this or that. The bottom line is and it has shown that it works. If you put out great service and a great product and you put it in a fun atmosphere, where they feel like they’re in a barbecue joint, it can work. There are guys that have opened up out here. Perfect example, there was a guy who had won the barbecue contest for years named John Wills. 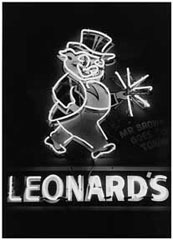 He opened a restaurant out near the Mid-south Coliseum on Central (Avenue). He had a little place and he did great. he went and decided to open right over here near the Clark t. He had marble this. It was a gorgeous place. When it opened I said “This place is drop dead gorgeous, but do you want to eat barbecue in it? It looks like a nice Houston’s. You’ve got to stay close enough to the perceived roots, which we have. I don’t think we’ve crossed that point. You still see 15 air conditioning units sitting on our roof. I could tear this place down and rebuild it and be a hell of a lot more efficient with our electrical our heating. I could slick this place up to make a lot more money, but that’s not the look we want. We still want to have that down-home feel. People want to come in- they want to see. I’ve got my T-111 siding in the inside of the building, and yet nothing is squared or grooved up together. You still have the openings and the black felt paper behind it still exposed. I’ve crammed in pictures on the wall. I don’t have everything in the same frames. It doesn’t look slick. It’s not like a Houston’s. I’ve got ceiling fans that still sort of shake a little bit. You’ve got to have that little bit of an edge and it’s hard to really say what it is. The music is still the fun 50’s music. It’s good mix of the music. It’s a feel. It’s very important to us to keep it as a family owned type of environment. I’ll give you a perfect example. I get guy who’ll call me from New York, LA, Chicago; we shipped out over 50,000 orders through our mail order program. People will say to me “well why don’t you use an outside service to take all the calls?” I want that woman that works at Corky’s and answers the phone with that accent. I got a call in from Boston, Massachusetts ordering food. First of all its fun for him to call down to Memphis Tennessee. They think that they’re calling a little barbecue joint and that’s exactly what we want them to think. 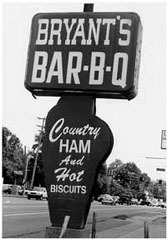 That they’re calling that little barbecue joint down in Memphis Tennessee. They have no concept of how much volume we do in dollars and I don’t want them to know that. 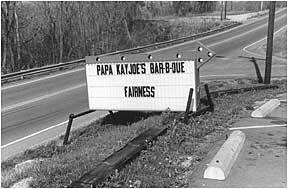 I want them to think that we’re still that that barbecue joint. It just so happens that we do a lot of volume. I still want to that we’re a small, family owned operation. 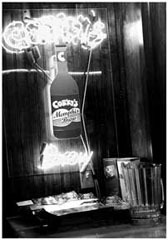 How Fast Did Corky’s Grow? We were growing at a rate of about the first ten years we were probably growing 25-35% every single year. Which is huge. Now we’re growing 10% a year. If I never grew another percent and just stayed where I was and just maintained it, it’d be enough to say grace over. No, we’re never going to 25-35% growth again. No way. 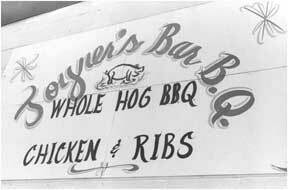 In ’93 we went under USDA federal inspection. We have our own plant. We have an inspector there every day. We have our own HACCP plan that’s been in place almost four years. We actually had a tentative one until it became required and now we have a full-scale HACCP plan. It was just a natural. We want to be where everybody is. We’ve got the catering. We’ll go to you. You can come through our drive-through. 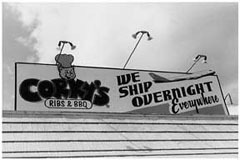 There’s so many people that don’t live near a Corky’s that we wanted to be able to fully cook our ribs, vacuum pack them, put them in the stores. Let’s face it. 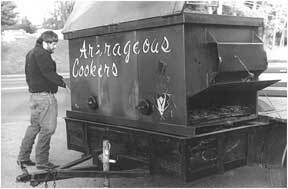 Nothing will be as good as when it comes right off the charcoal pits. 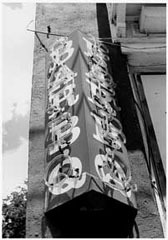 We wanted to still be able to bring what we felt was an “A” quality rib- maybe not an “A+.” We did that in ’93. That business has been growing exponentially every single year and that’s been great for us just like the mail order business. You’ve got the whole country to tap into. We have a database of about 150,000 of our previous customers through our mail order. We’re now starting to get a list of all our customers coming in our restaurant. So were going to eventually direct mail them. The best customer is a guy who comes in from Boston on business. He’s got a meeting with Federal Express. He eats at Corky’s. Loves it. He goes back. I send him a mailing. He says yeah god that’s Corky’s. you now I’m going to send some ribs to some friends. National mailing, we’ll advertise once or twice a year in the Wall Street Journal- not enough to make a dent. We tried doing some advertising nationally. If I were to go buy and ad that’s going to make a difference, I could go run and ad in the Wall Street journal. I buy and ad this little and it costs $5,500. In the Wall Street Journal nobody runs ads that size. You almost need to spend 17 or 18 grand to make any kind of presence and you need to run frequency. We just haven’t made that decision and you know what? It might work. It comes back to my dad’s theory. If you’re growing 20% a year, with no risk- our advertising agency will tell you- if growing 20% a year doing nothing, you could grow 50% and do this. Again, we’re very conservative. If I can grow 20% and not take any risk. We’re getting to that point and we’re really there right now, probably another year, to where our mail order is not going grow big numbers unless we start making a commitment to investing dollars to make it grow. We used to make our barbecue sauce. It got so big that we started seeing for a short period of time the inconsistencies of trying to make it ourselves. I’ve got a company that I’ve given our recipe to in Chicago. They’re making it in big batches it’s exact. They’re taking samples and it goes into a lab. If there’s any variance from viscosity levels to starch level, to this/that. That’s number one. When we know we can’t handle it, we found a co-packer to do it for us. We’ve done that on our pies. 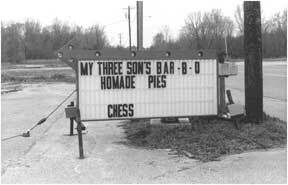 My mom used to make all of our fudge and pecan pies. It got to the point even she couldn’t keep up with what she was doing. Well now, they’ve got people who can make batches of 1000 pies at a time. We’re in Chicago a couple of times a year with our supplier on ribs watching to make sure. Between you and I, I had a truckload of ribs that come in not even three weeks ago that we sent that whole truck back because they weren’t cut the way we wanted. We found out. Our , they have three plants, and they’d been running it out of the same plant since my dad started buying with them in ’78 for 32 years. Just this one time, we caught it. Something happened with the plant. They shut the plant down for more than 30 days. They tried to run it out of another plant. That line, those people know how to cut our ribs. It was very obvious that it wasn’t our cut rib. We tracked it down. We found out it wasn’t made at the plant where it was normally made. We sent all the ribs back. They probably figured that we weren’t going to catch it. Ours is a 2 1/4 cut St. Louis rib cut to Corky’s specifications. Meaning, if you go out and look at our boxes, it’s got a Corky’s stamp on it. It’s not a rack rib. If you were to call SYSCO right now and you want a 2 and a quarter down ST. Louis rib. They’ve got one. But it’s not a 2 and a quarter St. Louis Corky’s cut. That’s why I’m actually paying more per pound even though my volume is 10 times more than anybody else. Because, when they take that rib, we’re making them trim out all that right in there, all that excess cartilage and stuff. Now the supplier is stuck with this and that’s a by-product and they’ve got to go sell that off. We argue with them. They say that they can only get .25 cents a pound for it in Korea ad we say it’s worth this and that. But the bottom line is we’re paying for that. We’re paying for it. That rib right there is what everybody else is buying. I don’t know anybody out there that’s got a custom cut rib. They might say they do, but nobody does. I bought 14 tractor loads in March. They’ll put those up in the freezer. They’re not going to do that for a guy who wants to buy 200 cases of ribs. It slows their production down. 24 Hours a day seven days a week. I can’t remember when we haven’t- not a day in 15 years. This weekend I know that we’ve got a catering for 2,400 a catering for 1400 and we’ve got bunch of them for 500- this that. Our plant might need to cook a couple of hundred shoulders to supplement and bring over to the restaurant. We can’t physically- on busy days; we can’t cook enough here. It’s lucky that we have our plant now. The only thing that happens, if you cook your shoulders for 22 hours, you can cook your shoulders in 11 hours and the customer is not going to know the difference. the problem is, instead of that 18lb shoulder yielding six pounds, you might only yield 4 and 1/2 lb. It’s just going to hurt your yield. Sometimes you have to that. That’s what we had to do in the old days. But now that we have the other facility. Now we can still cook it the long period of time and get the better yield and it’s more profitable for us. It’s more profitable and it makes more sense. You don’t have the pressure of having to do a double round. You’ll cook a round at 6 in the morning to come off at 8 and then you have to switch another round at 8 to come off the following morning. It’s out near the airport. It’s the exit that you get off for Graceland. 25,000 square feet we have now. There doesn’t have to be someone there but they’re cooking 24 hours a day. Right now, they’re going seven days a week. Your tax dollars pay for 5 days a week, then you pay extra for Saturday and Sunday inspection. We’re paying for Saturday and Sunday inspection right now. We’re in the summer season right and the grocery store is out of control. Everything for grocery and mail order both of those fall under USDA. This is our time for grocery and mail order. Grocery, Memorial day to Labor Day are your crazy time, but the business is great year round. The month of December mail order you’ll do 40% of your annual business in 14 days. We’ll have days when we’ll ship 4,000 orders a day during Christmas. On Monday, Tuesday or Wednesday, we’ll ship out 130 packages a day. Big Difference. If you come here during Christmas, we’ll have three assembly lines of 8-11. Probably around 24 people just in the assembly line. We probably have 40 people out there a day just packing of mail order.